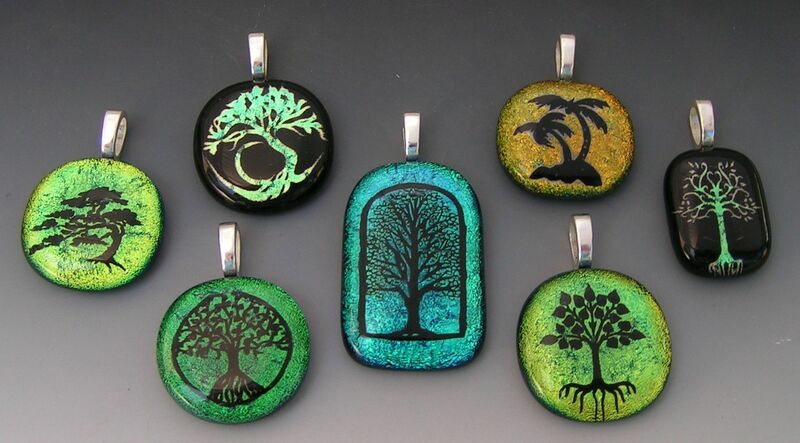 Dichroic fused art glass tree pendants. I laser etch the designs in dichroic glass then fuse the glass in a kiln. I can etch almost any design to make pendants. Arrived just as requested. Total professional.